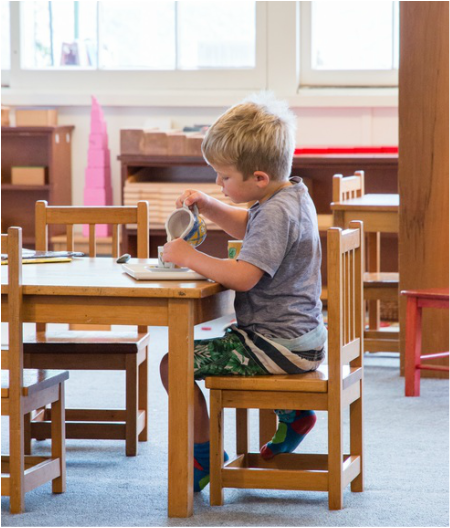 Montessori Blenheim is licenced for 34 children between the ages of 2.5 and 6 years old. ​ and offer 20 ECE hours for children over 3 years. Montessori is open between 8.00 am and 4.30 pm, Monday to Friday. We are taking enrolments now for 2020. Enrol now to secure your spot. ​We recommend booking a visit so we can give you our undivided attention. The Montessori classroom is calm and respectful, a learning environment like no other early childhood centre. Prepare your child for school; they leave Montessori with confidence, respect, independence and a strong foundation of physical and intellectual abilities. 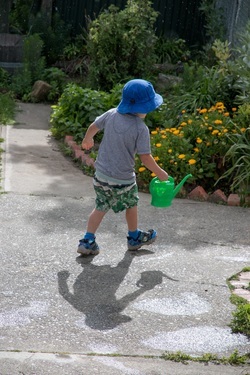 Children freely explore our beautiful indoor and outdoor Montessori classrooms and choose to work with the materials that appeal to their interests and developmental stage. The high teacher to child ratio enables our teachers to foster the child's self selected interest and nurture each child's individual growth. ​Specialised Montessori education for children aged 2 - 6 years old. A natural liaison between children and the environment, flowing from indoor to outdoor. We foster purposeful, independent and engaged learning in the prepared Montessori environment. "Montessori is an education for independence, preparing not just for school, but for life"
"Children come from Montessori a lot more independent and aware of their own interests and needs as they have already begun to develop their own individuality and independence in their learning. "